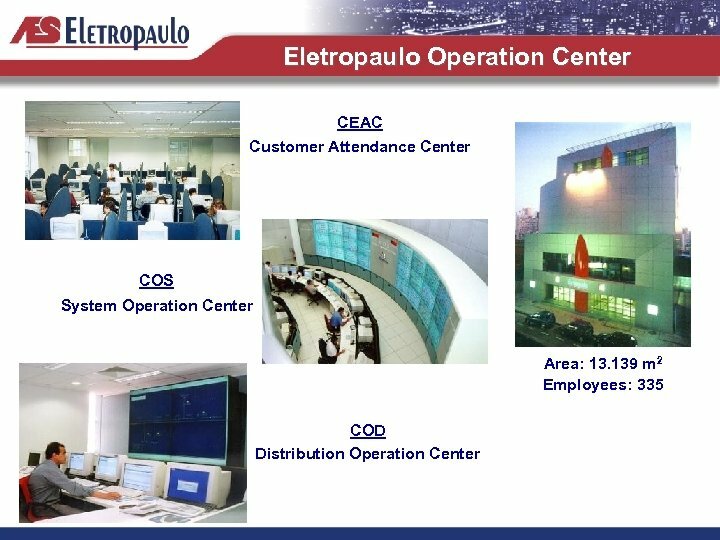 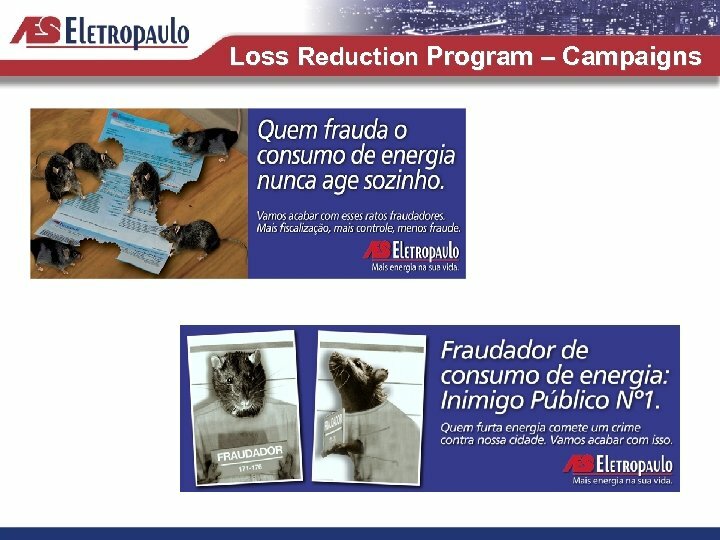 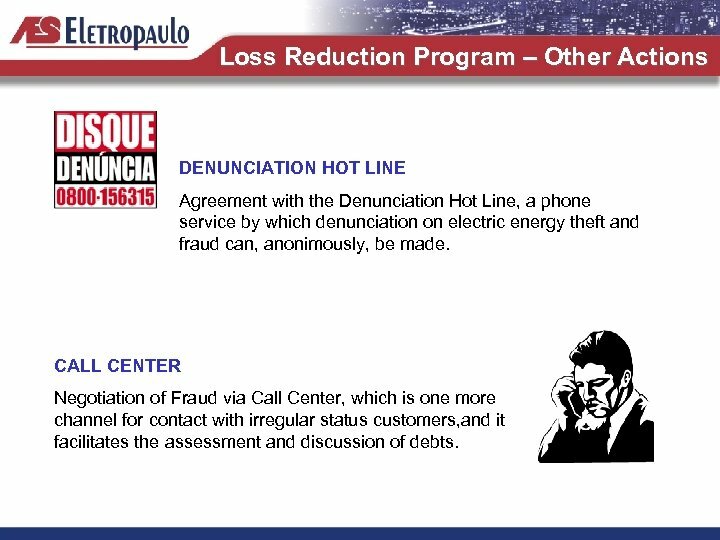 Loss Reduction Program – Other Actions DENUNCIATION HOT LINE Agreement with the Denunciation Hot Line, a phone service by which denunciation on electric energy theft and fraud can, anonimously, be made. 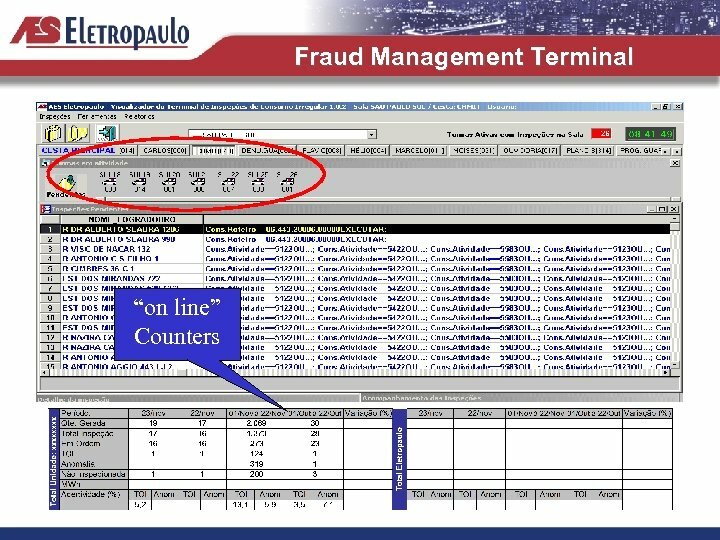 CALL CENTER Negotiation of Fraud via Call Center, which is one more channel for contact with irregular status customers, and it facilitates the assessment and discussion of debts. 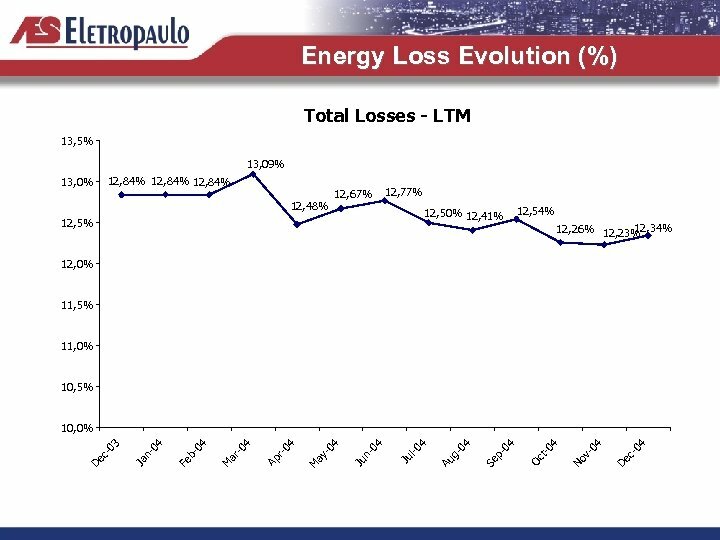 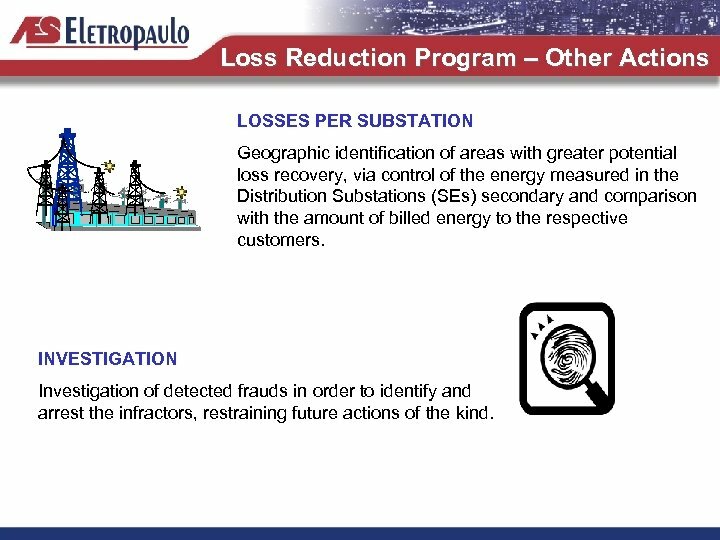 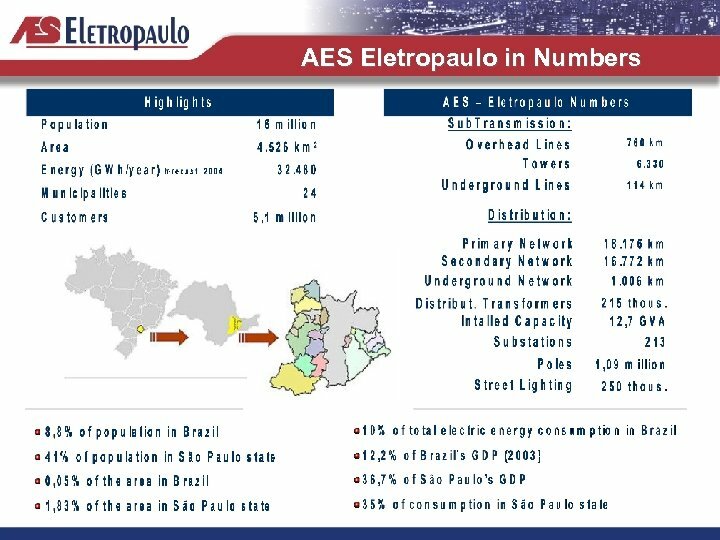 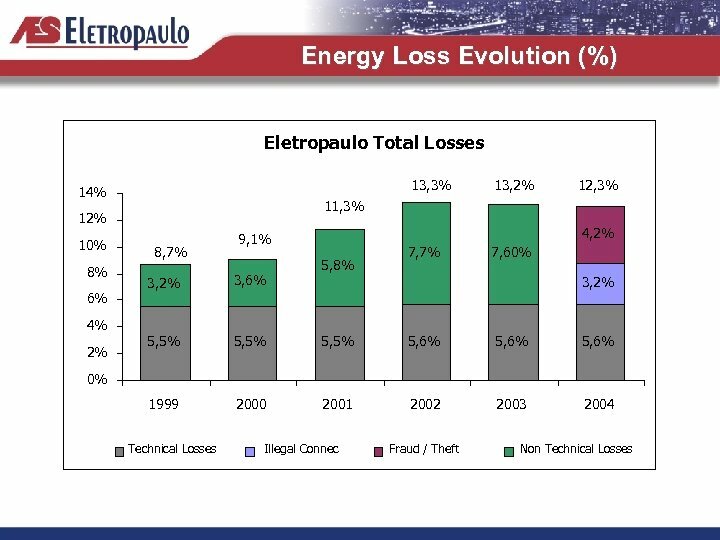 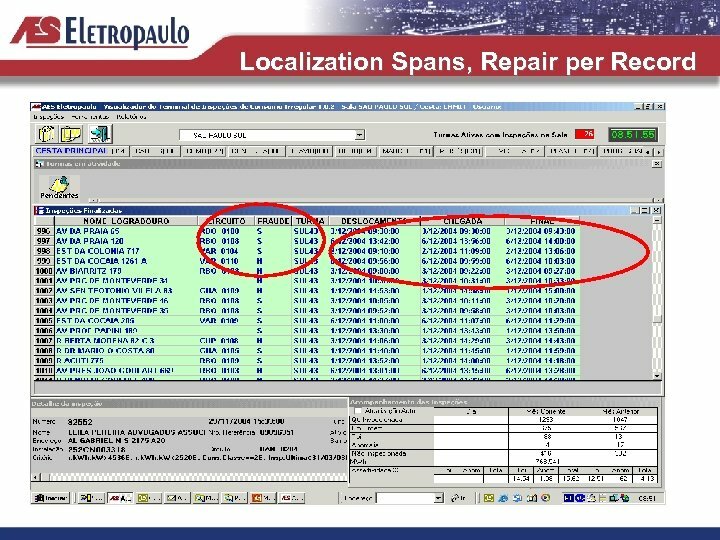 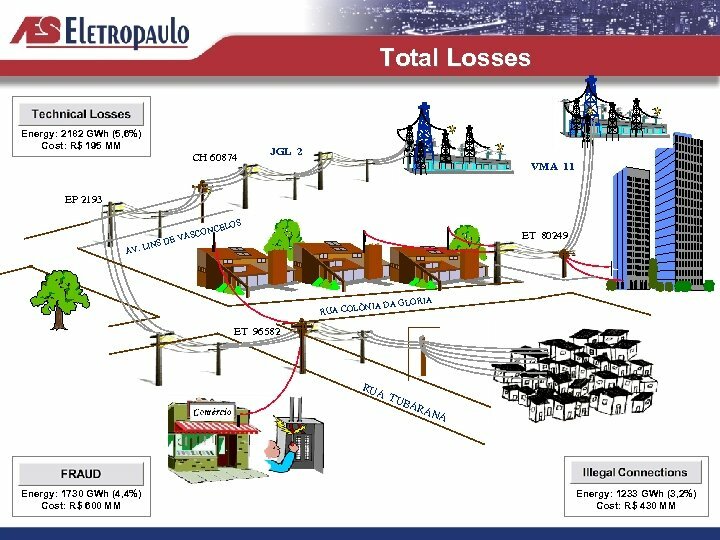 Loss Reduction Program – Other Actions LOSSES PER SUBSTATION Geographic identification of areas with greater potential loss recovery, via control of the energy measured in the Distribution Substations (SEs) secondary and comparison with the amount of billed energy to the respective customers. 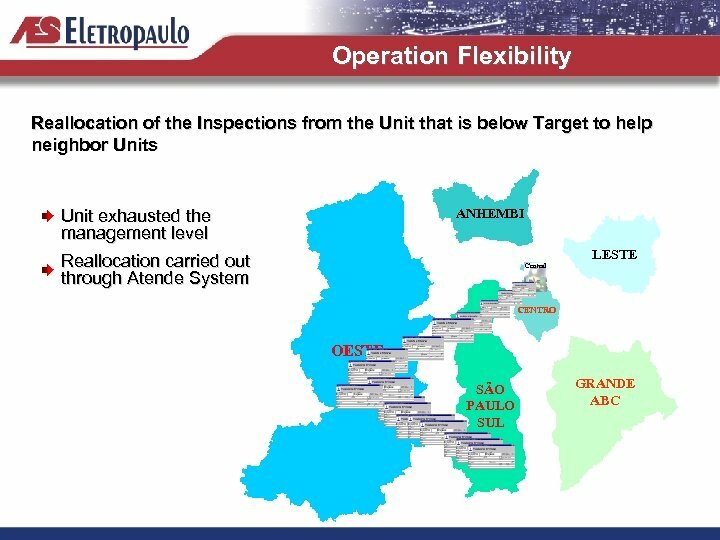 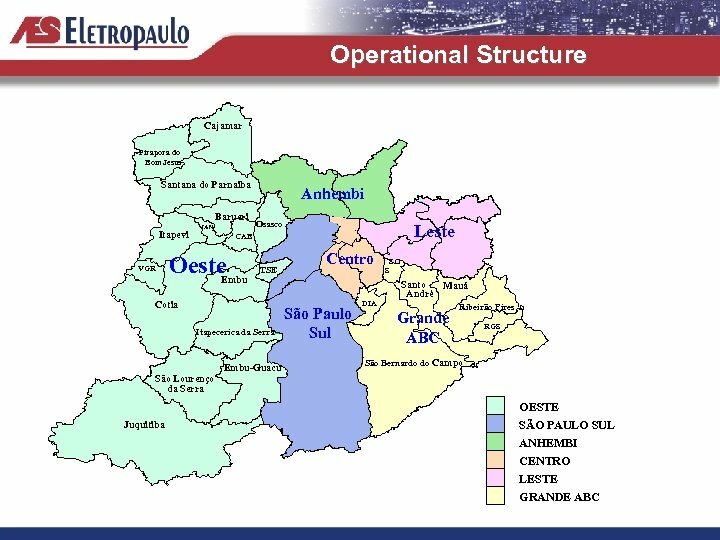 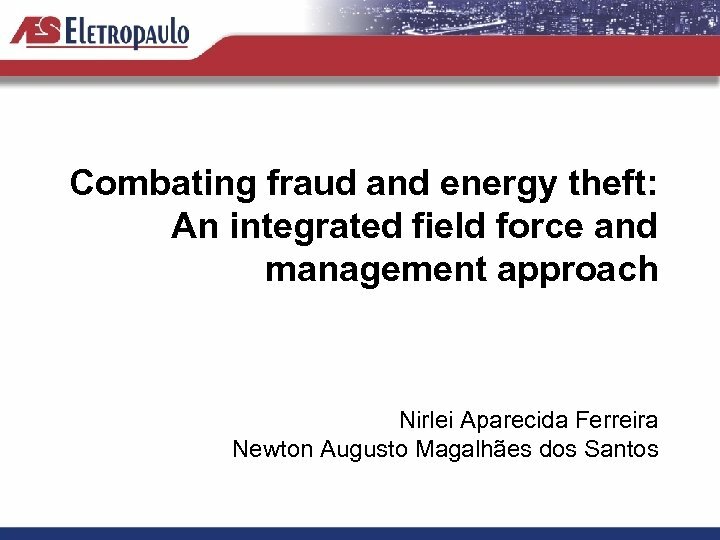 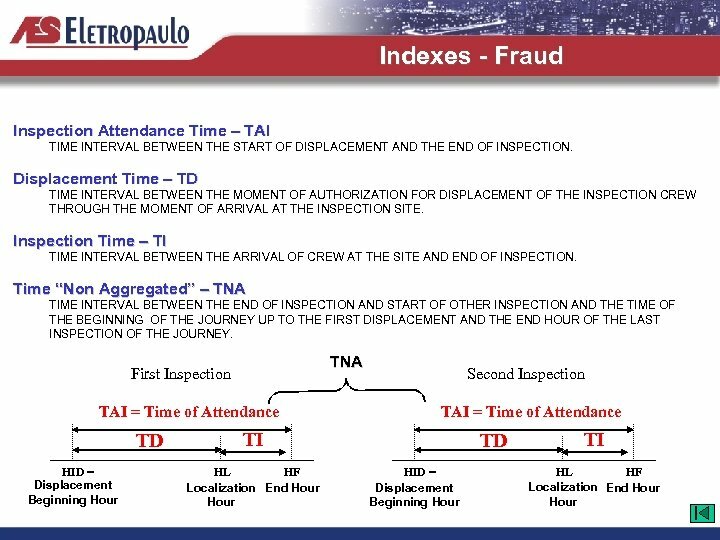 INVESTIGATION Investigation of detected frauds in order to identify and arrest the infractors, restraining future actions of the kind. 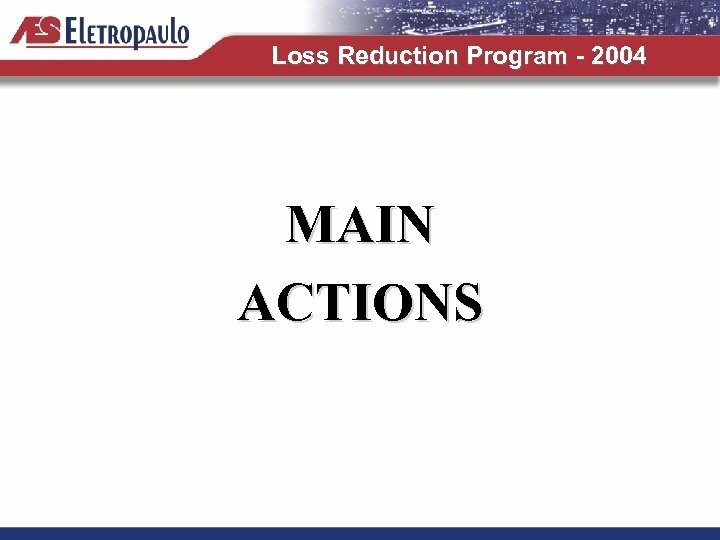 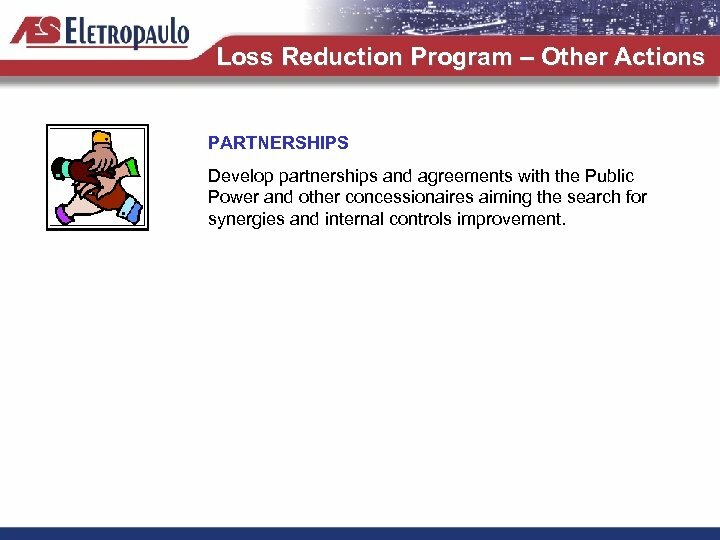 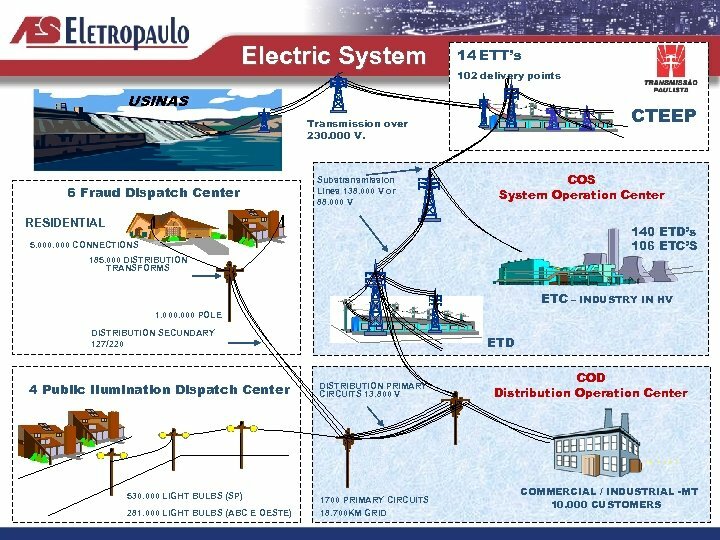 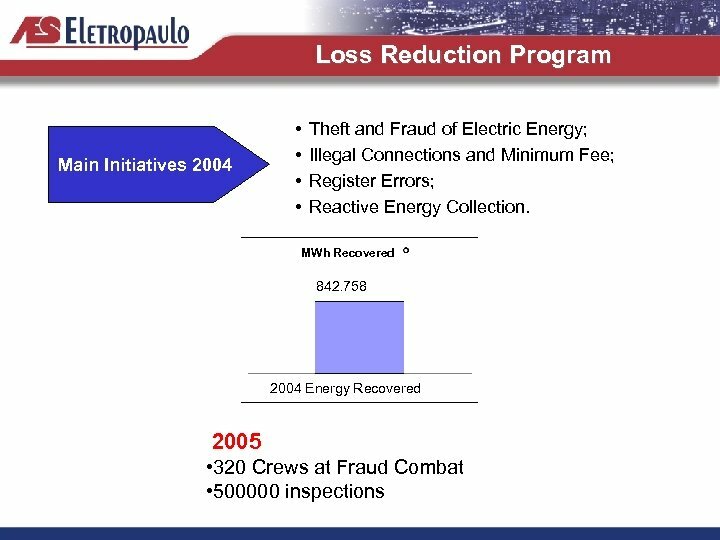 Loss Reduction Program – Other Actions PARTNERSHIPS Develop partnerships and agreements with the Public Power and other concessionaires aiming the search for synergies and internal controls improvement. 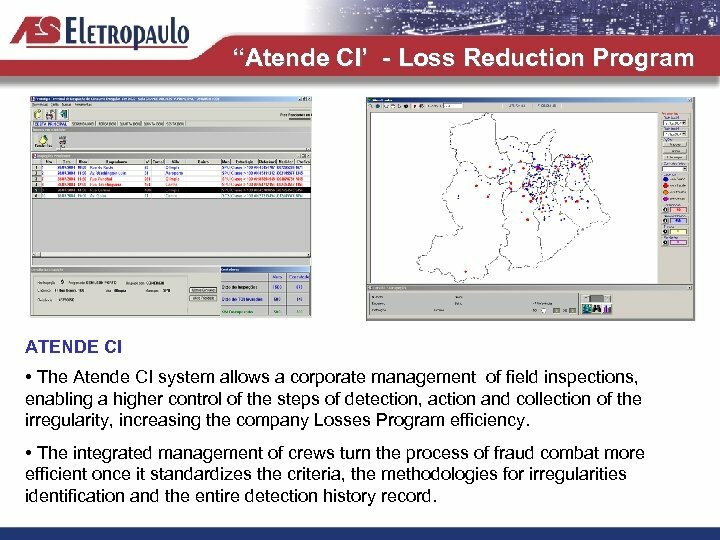 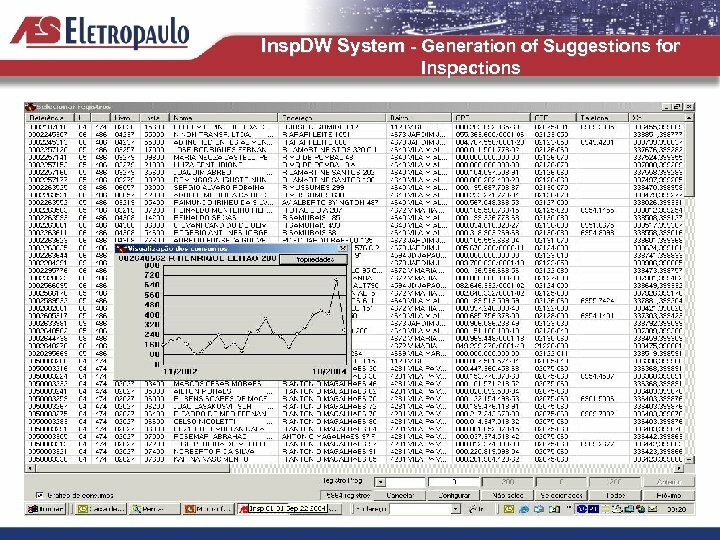 “Atende CI’ - Loss Reduction Program ATENDE CI • The Atende CI system allows a corporate management of field inspections, enabling a higher control of the steps of detection, action and collection of the irregularity, increasing the company Losses Program efficiency. 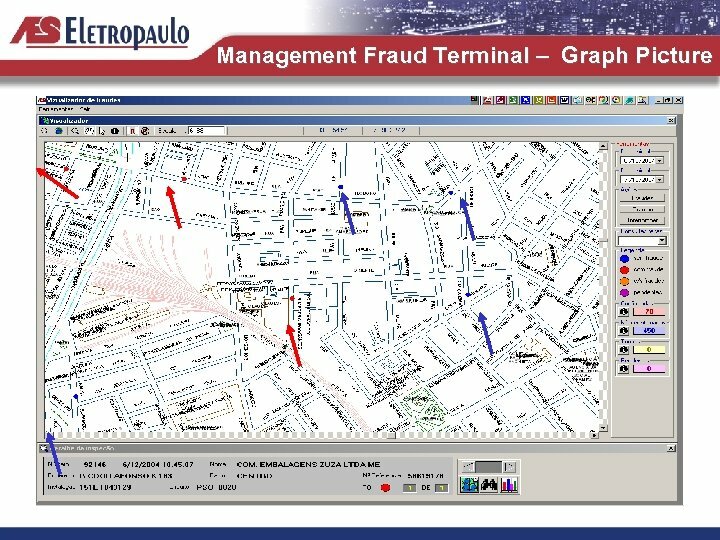 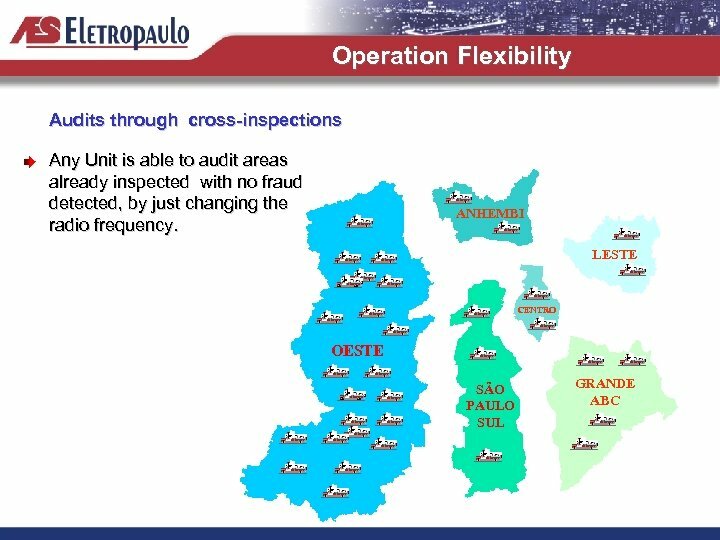 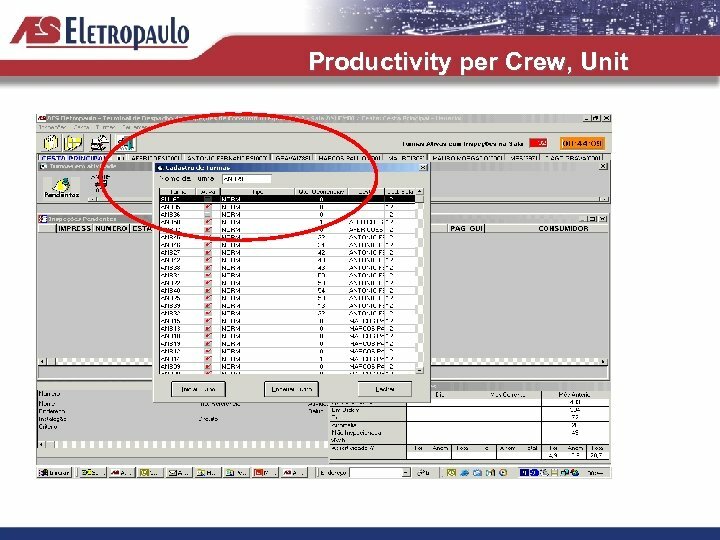 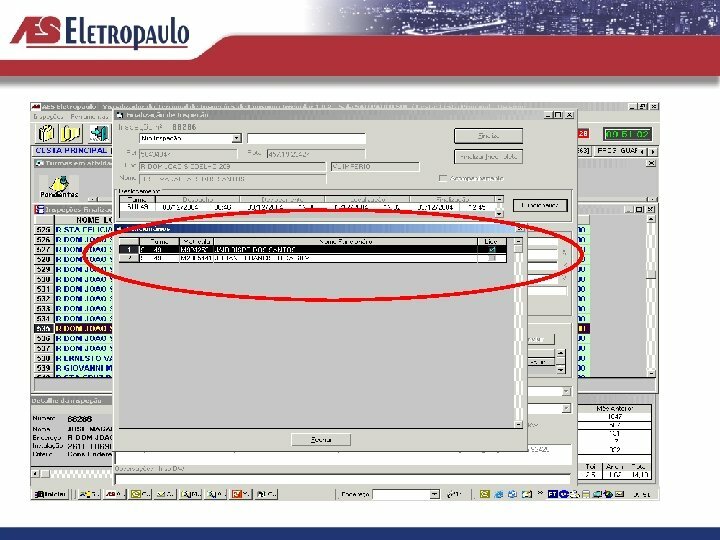 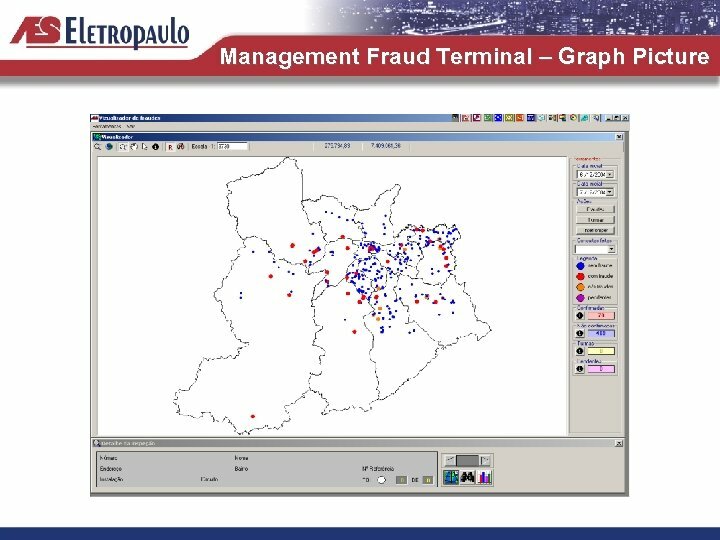 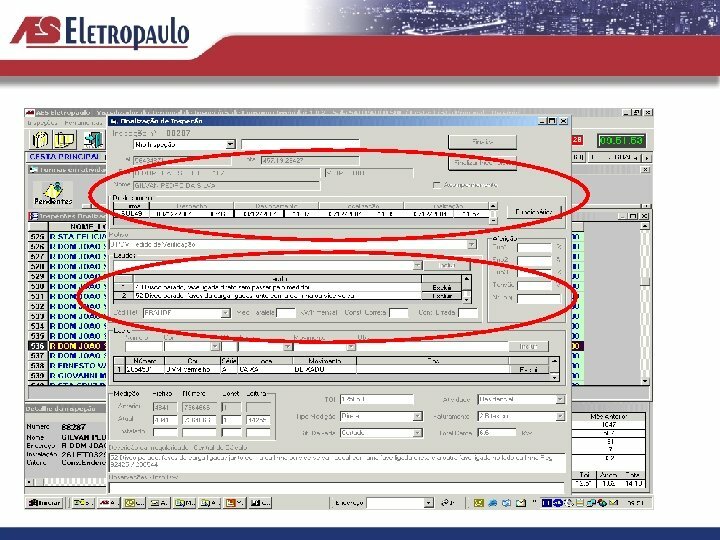 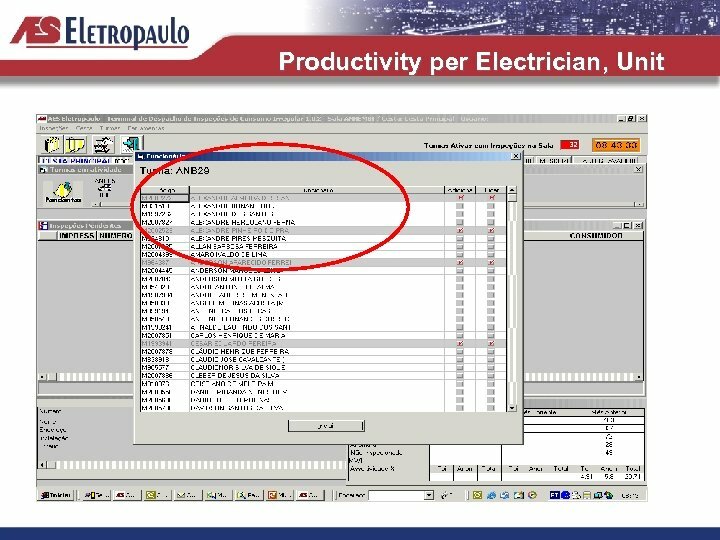 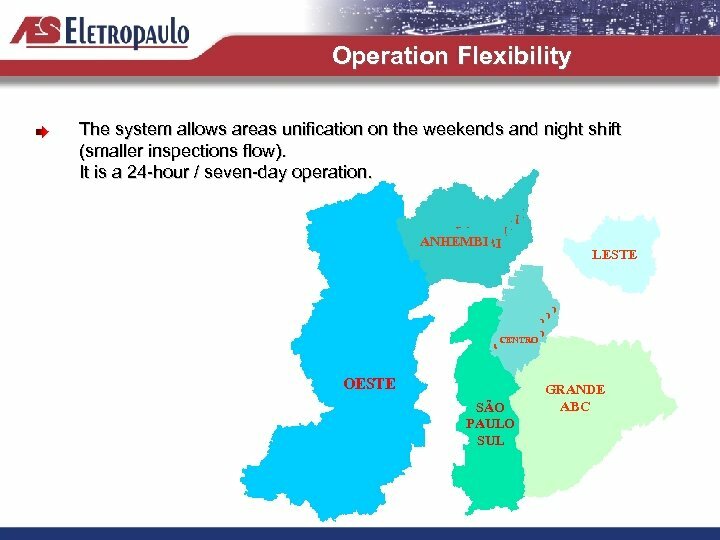 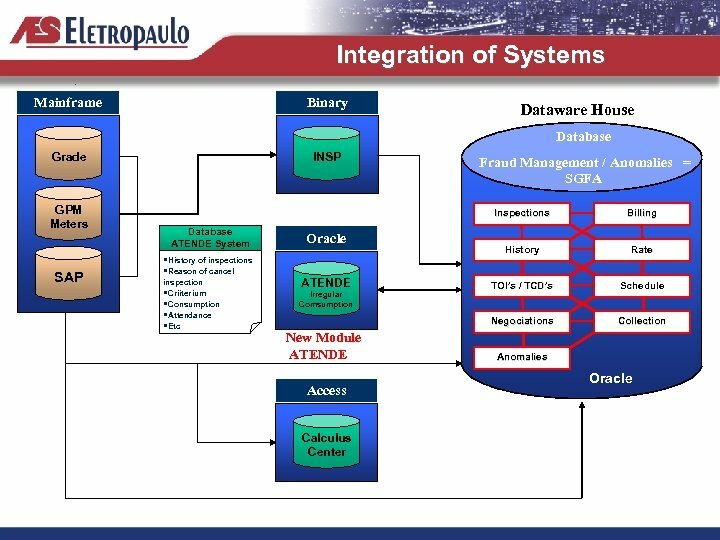 • The integrated management of crews turn the process of fraud combat more efficient once it standardizes the criteria, the methodologies for irregularities identification and the entire detection history record.